Mom, a.k.a. 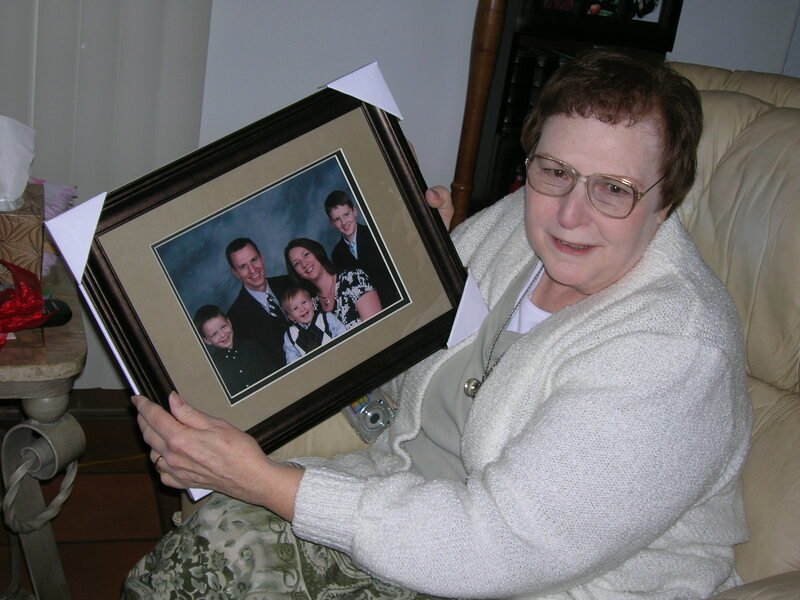 Sharon Wallace, showing off a prized photo. I’m sure when I was just a babbling little baby she started out as “Mama.” There was probably even a “Mommy” phase that ended at about the age of 8. It wasn’t until I got to college in Troy, Ala., that I routinely heard adults refer to their mother as “Mama” and for the first time heard the phrase “Mommer ‘n ‘em”. There were the “yo momma” jokes back in the 1980s, but otherwise, “Mama” or “Momma” weren’t appellations I encountered until after I left urban Texas and central Florida for the deep, traditional South. Shakespeare wrote in “Romeo and Juliet” the famous line “A rose by any other name would smell as sweet,” but what do all the derivations of “mother” mean? In analyzing my own speech patterns, I think I did have different meanings behind each form. For example, “Mom” was common, everyday usage. It was conversational, and in a lot of ways, for my two brothers and me, it was her name. “Mommy” was employed when I faced life’s scariest moments, usually involving blood coming out of me somewhere. It was used when there was great need or when I was just greatly needy. It could imply urgency, depending on the volume and pitch, but mostly it was just whiny. I’m sure Mom didn’t particularly enjoy it in either case. “Mother” was too formal to ever be used. It just seemed too detached. There was no affection in it. I can’t remember a time I have ever called her “Mother” during a conversation that wasn’t an attempt at humor. “Mama” just sounded so country, that for a city boy, even from Texas, it was out of character. I guess in my glossary, it means the same as “Mom” but with a more down-home, primitive feel. “Mama” sounds like a big hug to me. Mama, a.k.a. 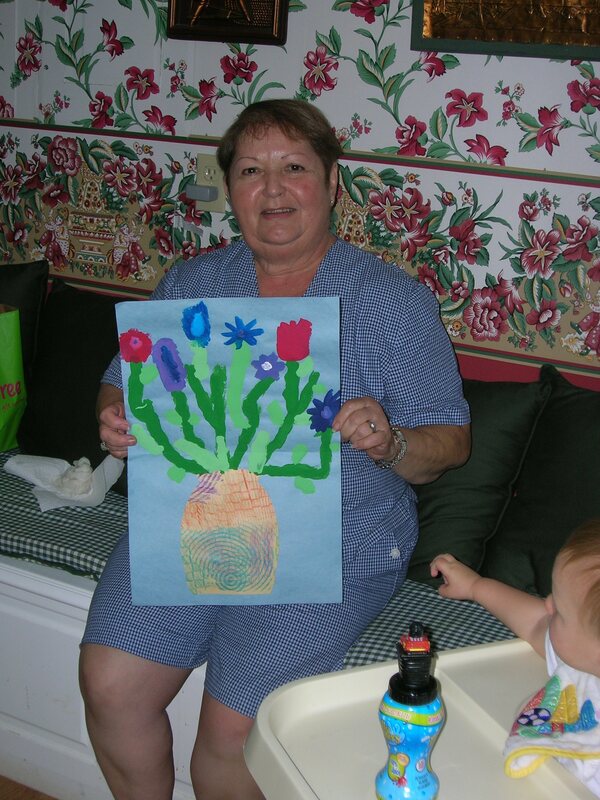 Cynthia Barron, showing off prized artwork from her grandsons last Mother's Day. Now that I have two mothers – the woman who gave birth to me and my mother-in-law – I have grown comfortable with adopting my wife’s name for her mother. It wasn’t even that big of an adjustment. “Mama” just rolled off my tongue. Maybe it’s because the name fits her so well or maybe it’s a throwback to my first vocalizations as a child. In my case, I’m blessed to have a supportive and encouraging Mom, a compassionate and considerate Mama and a wife who is living into motherhood for our three boys in a beautiful and nurturing way. While they call her “Mom” sometimes, it seems that right now, she’s mostly “Mommy” or “Mama.” I wouldn’t dare call her any of the names for “mother.” I know plenty of husbands who do, particularly as they age together with their wives. I just don’t think my wife wants to be my mother. So, on this special weekend dedicated to remembering the contributions and sacrifices of our mothers, it doesn’t really matter what you call her, just be sure to call her, especially on Sunday. This entry was posted in Uncategorized and tagged Lance Elliott Wallace, Lance Wallace, mama, mom, mommer 'n 'em, mother, Mother's Day, New South, New South Essays, South, Southern, Southern Culture, Southern traditions. Bookmark the permalink.